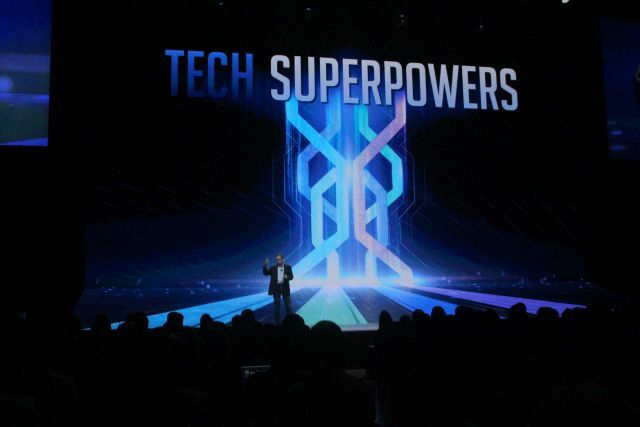 It was not vSphere which took center stage during Monday morning’s keynote session at VMware’s VMworld 2018 conference in Las Vegas. 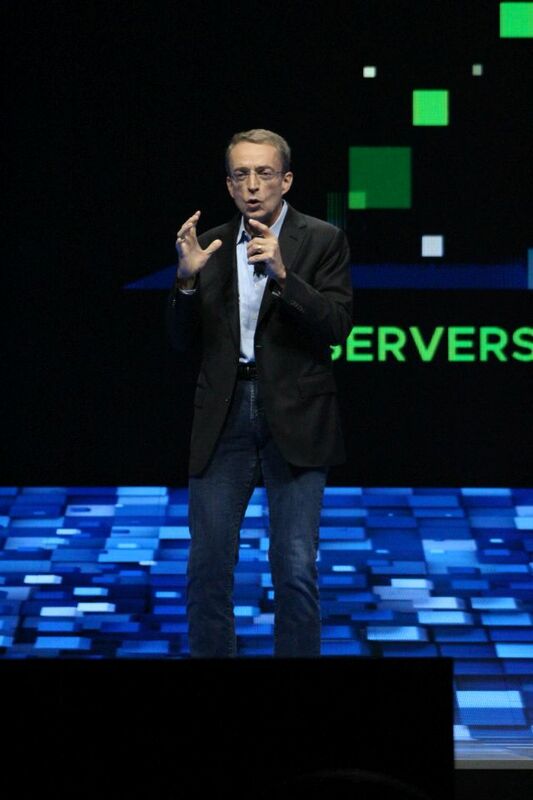 While it’s clear the virtual machine environment and its supporting ecosystem won’t just disappear (no such widely deployed platform ever has), Monday resolutely answered the question of which principal strategy VMware intends to pursue, to lead its enterprise customers into the new realm of workload management ­­— the realm upon which stacks, new and old, have been known to be built. 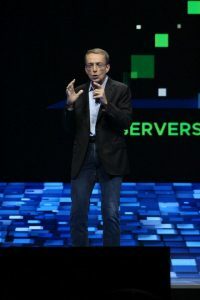 Rather than perceiving VMware’s customers as sharing an environment, VMware now characterizes its user base as sharing an infrastructure platform: NSX, the virtual networking layer that spans multiple physical address spaces across data centers and clouds with a single namespace. An enterprise could deploy workloads in any variety of manners, perhaps simultaneously. Yet as long as their namespace and address distribution rely on NSX as an underlying platform, VMware intends to support them. 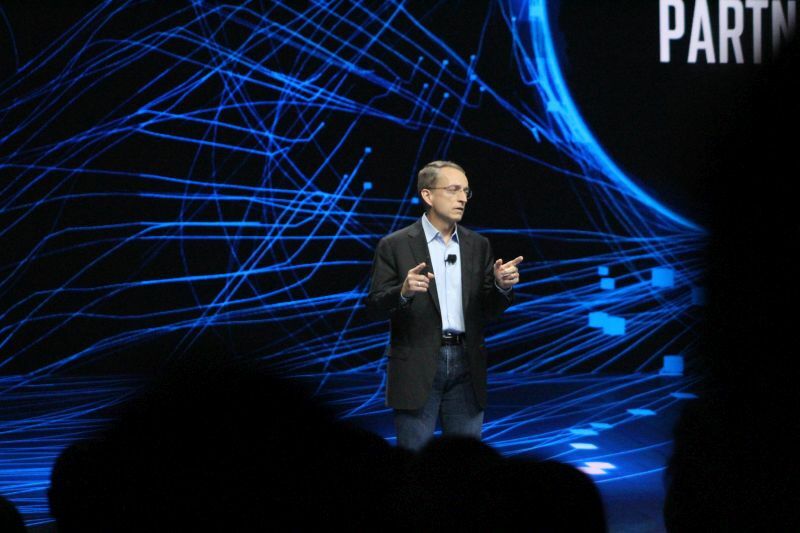 Later at that same press conference, VMware Chief Technology Officer for the Americas, Cameron Haight, suggested that physical networking infrastructure today is too fragile to support the growing demands being placed upon applications, even when they are not evolving to newer architectures. And those that are evolving are taking on size and scale that their own developers never anticipated. Pivotal Container Service (PKS), announced here last year, is VMware’s implementation of a “pure” or “vanilla” Kubernetes, as some executives here described it today, coupled with BOSH as its application deployment and release management toolchain. Unsurprisingly, PKS is built to run on NSX. Note that Gelsinger refers to the product as “VMware PKS,” even though the “P” refers to sister company Pivotal. 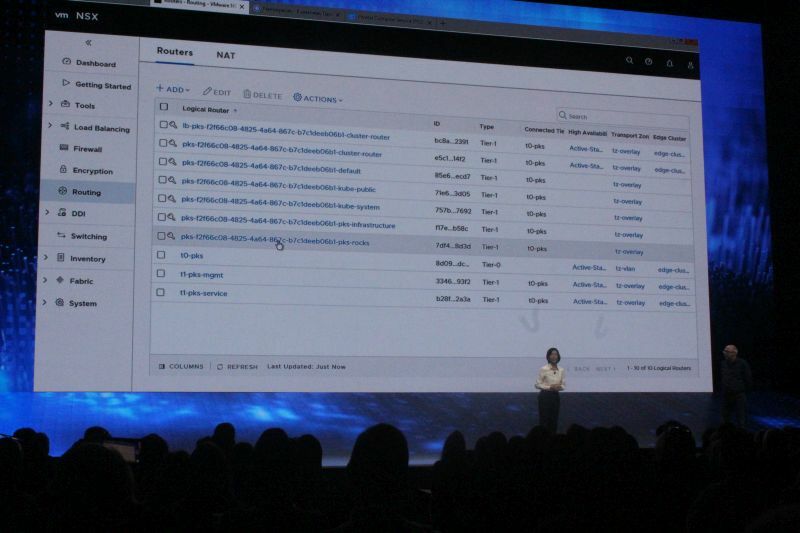 In a keynote demo, Wendy Cartee, VMware’s senior director for cloud applications marketing, showed PKS running Kubernetes on vSphere, and particularly how PKS’ underlying NSX layer reveals network objects the moment that Kubernetes namespaces are spun up, by way of a YAML file devised by a developer. In this situation, each namespace enables isolated operations for individual users or namespaces. The demo showed, within seconds, PKS assigning a logical router and logical switch to the namespace. In other words, PKS created the creation of network resources in parallel with the Kubernetes orchestrator spinning up clusters. “Kubernetes is quickly, maybe spectacularly, becoming seen as the consensus way that containers will be managed and automated,” he told the audience. “It’s the framework for how modern app teams are looking at their next-generation environment, quickly emerging as a key to how businesses build and deploy their applications today. And containers are efficient, lightweight, portable — they have a lot of values for developers. 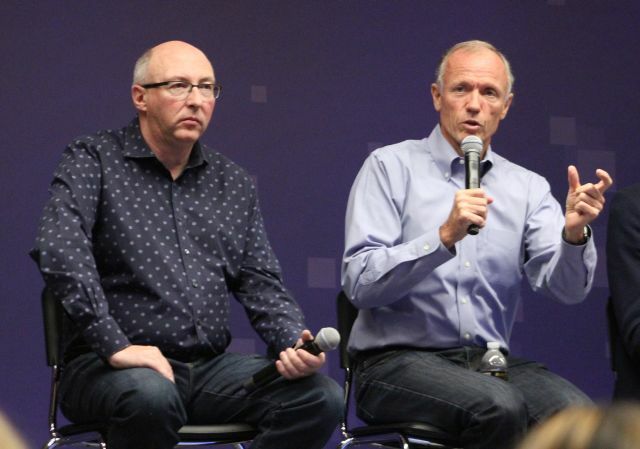 At a Monday afternoon press conference of the company’s technology COO and general managers, led by CTO O’Farrell, I asked how they would expect developers of containerized applications intended to Kubernetes to implement NSX as their networking layer, without having to effectively unplug from whatever SDN networking overlay — for example, WeaveWorks — that they had already been using, without having to re-architect those applications. “The idea behind NSX is, it’s an overlay,” responded Tom Gillis, VMWare general manager for networking and security, “and it creates simplicity… When there are networking constructs that exist for a narrow piece of the infrastructure — let’s say, for containers that will exist today and tomorrow and going forward — the value of an overlay is providing consistency across them. 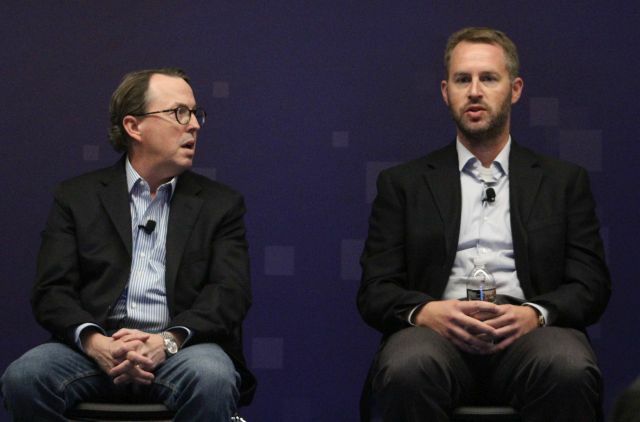 During a panel session later Monday afternoon, however, a few VMware customers did express a modicum of grief — not overly pronounced, but still present nonetheless — with adapting an already containerized application for PKS and NSX. Specifically, they’re substituting an overlay meant to enable a clan of containers to message one another, with a grand networking platform capable of spanning a private cloud and two or more public clouds simultaneously. To say there’s “no complexity” may not be the same as saying there’s no effort. A highly distributed, microservices-oriented application may or may not need some subtle adjustments when it is intended to run on a platform utilizing NSX; and the fact that such adjustments might be necessary at all, puts the topic of re-architecture back on the discussion table. It’s this association of PKS with NSX that may render this particular platform unique among the emerging crowd of Kubernetes PaaS initiatives that manage to spell “container” with a “K.” It may be plain vanilla Kubernetes, but there also appears to be chocolate syrup, whipped cream, a split banana, and cherries — and they’re not there to keep things ordinary.